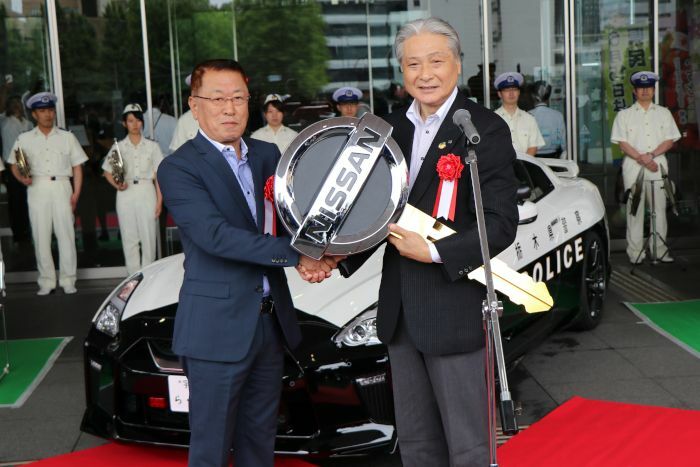 The Tochigi police expanded their fleet with the new Nissan GT-R R35, and which is a new member of the new GT-R R35 – which is a current latest GT-R version, and the fastest Japanese car in the Japanese police fleet. The first car donated to the police, which was handed over at a ceremony. 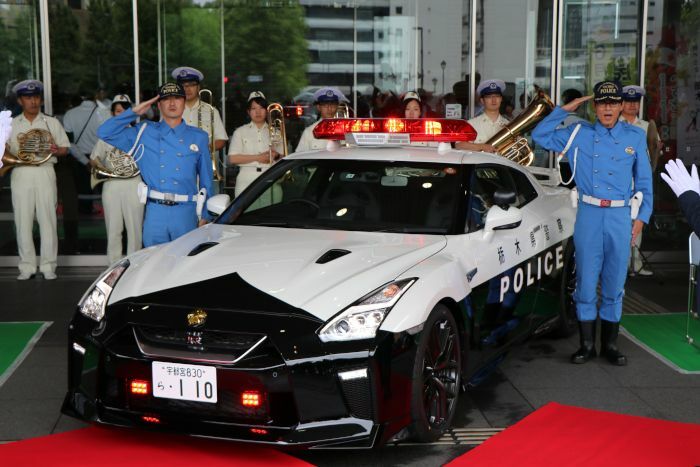 With the new GT-R Police car the road safety will be improved, on the Tohoku Expressway, which is 679,5 km long (according to the website information). The latest Nissan GT-R R35 are already over the many updates, which was first time with 480 hp, thus continuing the GT-R legend story, which remained true to the GT-R badge and legend, and over the years a GT-R R35 generation has evolved continually, every part of the car, as well as the R35 every updated version of it has become more and more powerful, which currently produces 570 hp of the latest GT-R, but the NISMO version even stronger. The street Nissan GT-R’s top speed reaches 315 km/h, and acceleration 0-100 km/h 2,7s. The current GT-R American offerings: GT-R Pure (99,990 USD), GT-R Premium (110,490 USD) and GT-R Track Edition (128,490 USD). The Japanese GT-R range includes the following the Pure Edition (10 230 840 JP¥), the Black Edition (12 139 200 JP¥), the Premium Edition (11 705 040 JP¥) and the Track Edition (13 969 800 JP¥) versions, as well as the NISMO peak version (US price: 175,490 USD), which available in European, American, Australian, etc. 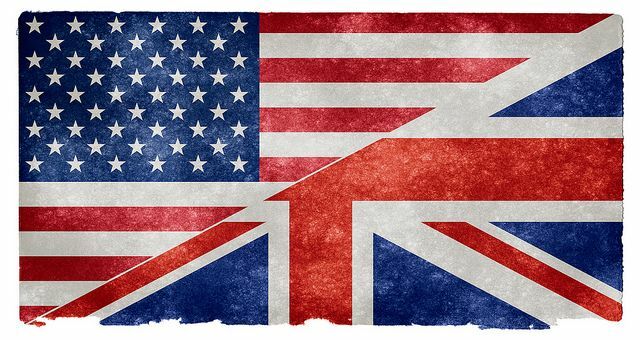 on the markets. Australian GT-R range: GT-R Premium, GT-R Premium Luxury Trim, GT-R Track Edition engineered by NISMO and the NISMO GT-R.